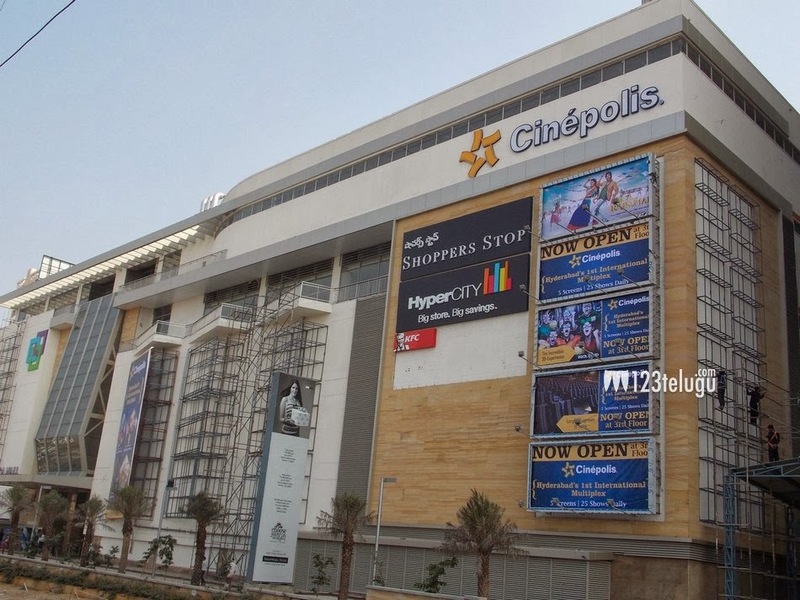 Cinepolis is newley constructed Multiplex theater in Kukatpally,Hyderabad. Cinepolis has 5 screens. The all-digital, RealD 3-D equipped multiplex will feature more than 25 shows every day and will have a seating capacity of more than 1400 patrons. Address: 3rd Floor,Manjeera Trinity Mall,Phase 3,Opposite JNTU,Hi-Tech Road, JNTUH Rd, KPBH Colony, KPHB Phase III, Kukatpally, Hyderabad, Andhra Pradesh 500072.